Every year, the Sauternes and Barsac appellations organize an Open House weekend during which the region’s Châteaus can open their cellar doors to the public. This year again, Château Coutet was happy to participate. Visitors came by on Saturday, November 10, 2018 to discover or to rediscover the terroir of Sauternes and the specificities of Barsac, but also the estate and its wines. During this day, free tours of Château Coutet were proposed by the staff as well as tastings of La Chartreuse of Coutet, the property’s Second Wine and Château Coutet, 1st Grand Cru Classé in 1855. 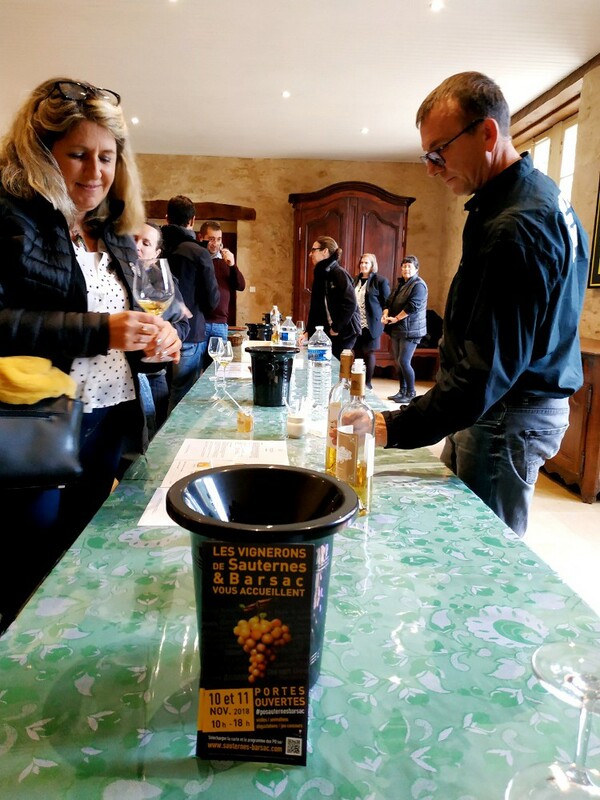 Our most popular year-long workshop, the Sauternes and Barsac Grape Varietal workshop, was offered all-day long giving visitors the chance to discover the taste of Semillon, Sauvignon Blanc and Muscadelle, as well as botrytis, via a jelly tasting. Despite the capricious morning weather, the afternoon sunshine welcomed a lot of new faces to this annual tradition. We look forward to welcoming you to next year’s event!